Why build a bike? The question you should be asking yourself is: why not? Bikes are rad. They’re amazing machines that cure so many of society’s ills – they save money, cut pollution, facilitate exercise, nurture mental health. And they’re also radically democratic. Anyone can own a bike, and what’s more, just about anyone can build one too. This book will get you all the inspiration and information you need to build your own unique single speed bicycle! Get to know your bottom bracket from your brake lever, and your stem from your chain stays, and learn how fun, creative and satisfying making your own bike can be. This simple, straightforward and fun DIY manual will take you from complete bike building beginner to confident bike builder in a series of fully-illustrated instructions. With a few simple tools and a bit of inspiration, anyone can build a bicycle that will bring many years of happy riding. 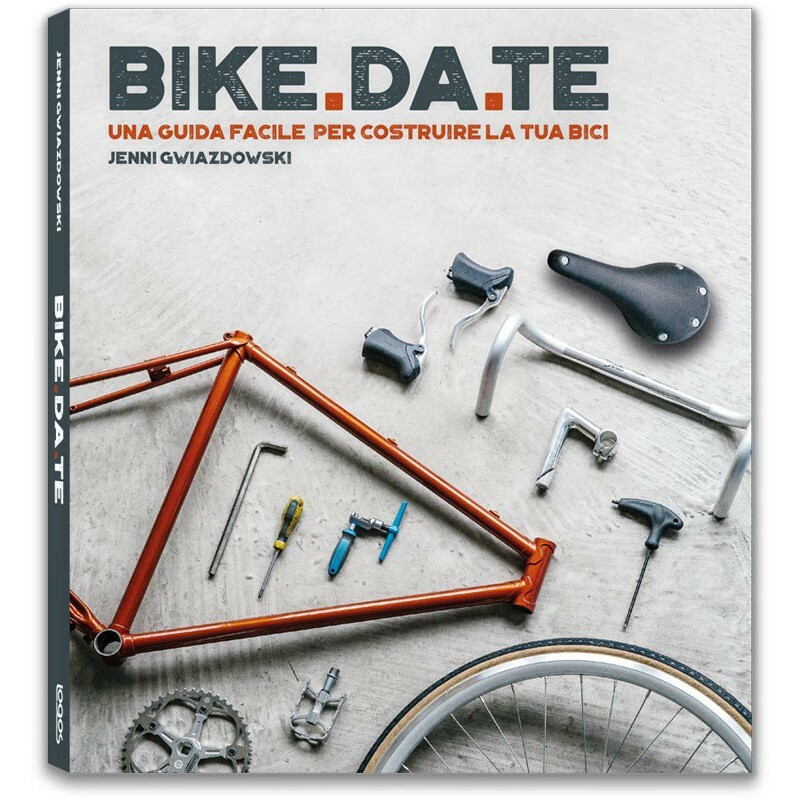 This book will teach you the right skills, how to choose the right components, use tools confidently and ace the technical bits to end up with a unique and totally bespoke single-speed bike. Learn how to dismantle a vintage bike for its frame and parts, measure it all for a perfect fit, assemble it with new parts into a safe and stylish new bike, and finally pop on a bell or basket. And then go out, ride your bike more, encourage others to join you! The world needs more bikes, and so do you! Jenni Gwiadzowki is the Californian founder and director of the not-for-profit London Bike Kitchen. She opened the DIY workshop in March 2012 after finding there was nowhere she could go to learn how to build a bike. LBK merges her two loves of teaching and bicycles, and has helped thousands of people on two wheels.